In my opinion Nikola Jokic is the future of this team. As a center he can do assists. In 2014 it was drafted by the Nuggets in 2nd round. Pick 41st overall. He average 7.8 assists this season. There is no other center that can do as many assistants as he is. This statistic proves that he almost average a triple-double with 16.5 points, 9.6 rebounds and 7.8 assists. At this moment the Nuggets are in my opinion the team to watch. Last year they finished with a record of 46 wins and 36 losses. This year they are first of their conference with 17 wins and 7 defeats. Not to mention missing Michael Porter Jr, Isaiah Thomas and Will Barton. This team is going to be deadly. That’s why I put it in my top 2. Let’s move on to the Thunder. Since they let Carmelo Anthony go, the team is getting better and better. With a record this season of 16 wins and 7 losses. Paul George seems to be gaining confidence in his game. Last game he made 47 points with a clutch three-pointer. Since the acquisition of Dennis Schroder the team seems to be gaining in power. He plays about 30 minutes per game. He average 16 points per game. Which greatly helps OKC. Let’s not forget Andre Roberson, missing in their defense. 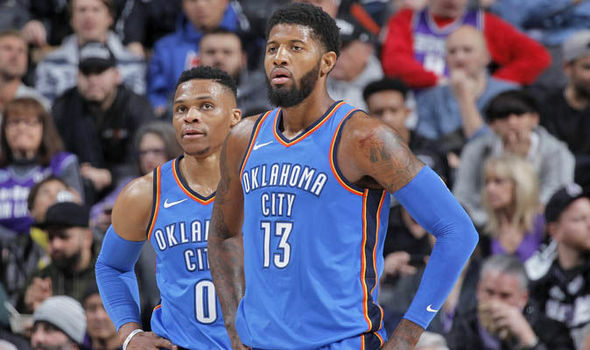 In my opinion, OKC will do the playoffs, but will not go to the conference finals. The Bucks are a team built around Giannis. Do not tell me the opposite. Yes, they won against the Raptors early in the season without Giannis, but Kawhi was not on the game too. Giannis is, in my opinion, the one who is more likely to win MVP this season. He proves to us that he is no more than a simple player, but a star player. He leads his team to victories. The Bucks have many good players, but without Giannis they could not win as much game. The Bucks are, in my opinion, contender team for the playoffs. Memphis are a very impressive team this season. 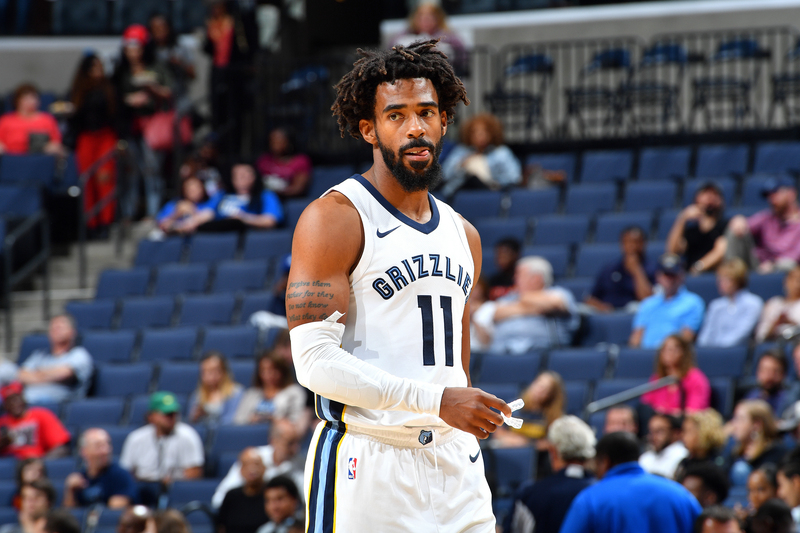 Mike Conley putting up impressive numbers is only amazing. I think the Grizzlies is a team we can not predict their performance. They can win against the best team and lose against the worst. Only this year everything is different. They win whatever the team. I think they impressed us all this season. The question is will they continue to impress us? Is this year the right one for the 76ers? Many believe that since the Celtics can not reproduce what he was doing them one of the best teams the previous season. Many say the Celtics are the only team capable of stopping the 76ers from winning the championship. Will they trade Markelle Fultz? Let’s talk about the acquisition of Jimmy Butler. Everything is getting better for them since Jimmy Butler joined the 76ers. He is able to play under pressure. From those first two games, he helped the 76ers to win with clutch moments. Is Jimmy Butler the missing piece of the process? Not to mention that Joel Embiid is doing a great job in the post. Some even consider him the best center of the league. The 76ers will certainly make the playoffs. The question is will they succeed in beating the Celtics? 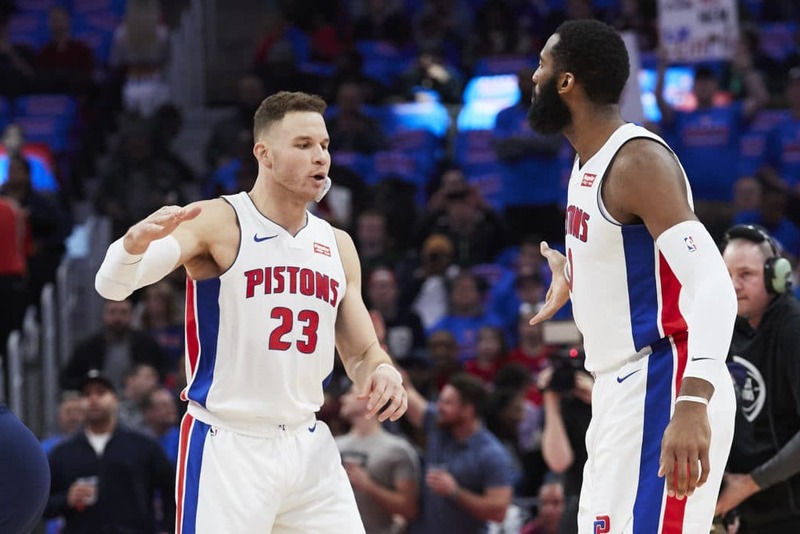 Since acquiring Blake Griffin and last year’s Dwayne Casey coach of the year, the Pistons seem to be on the road to success. The only negative point of the Pistons is Andre Drummond. He is not able to produce against centers that plays in his mind. This badly affect the Pistons at the offensive level. In my opinion, Dwayne Casey could once again win COACH OF THE YEAR, if the Nuggets start to fall. The pistons in my opinion will make the playoffs. Let’s go to the Maverick. They are nice to watch playing with Luka Doncic doing miracles only at the age of 19. In my opinion, the Mavericks have in their hands the future MVP. Not to mention that Dirk Nowitzki can teach him a lot as a veteran. With the addition of DeAndre Jordan in the center posotion for the Mavs. He is an important player in the rebounds of the team. His percentage to the free throw is improving day by day. Let’s not forget the extreme athleticism of Dennis Smith Jr. Another rookie with a winning mentality. Mavs can travel far and surprise many people this season. This season the Warriors do not seem ready to defend their league title another year. In my opinion, the Warriors do not have any longer. Their team chemistry seems to have plummeted since the incident between Kevin Durant and Draymond Green. Adding Stephen Curry’s Injury. They lost a lot of games during Stephen Curry’s absence. If Kevin Durant did not step up the Warriors would not be 4th, but maybe 6-7th in the standings. The Warriors prove once again that they can defend their league title without needing all their star players. They will, in my opinion, still go to final conference if it is not more. I have it so low in my top 10, because this year they have the worst beginning of their last 4 seasons. Let’s go to the Clippers. We who believe we have seen one of the worst trade in the history of the NBA, the Clippers prove the opposite. Everyone is crazy when they traded, Blake Griffin to the Pistons is not it? The Clippers seem to have also won the trade according to stastistics. Is it too early to consider them as a contender team? Maybe, but with Boban, Harris, Gortat, Gallinari, Shai, Avery Bradley. I really believe in Clippers. 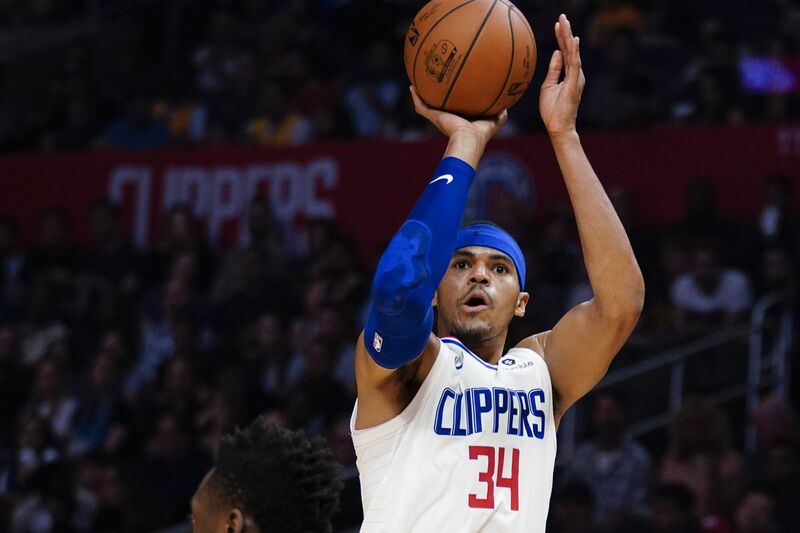 Tobias Harris who recently won player of the month, scares me. Tobias with the Pistons was an average player. With the Clippers he is no longer the same he leads the Clippers to victories. In my opinion, the clippers can actually playoffs this season and go far. 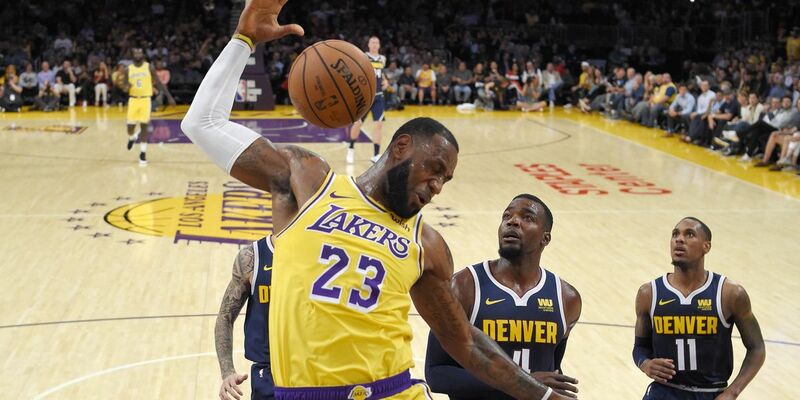 The Lakers, in my opinion, are sure to make the playoffs since they signed LeBron James. With the addition of Tyson Chandler which allows the Lakers to close out tight games is in my opinion the reason for its acquisition. Rajon Rondo is a player with an incredible IQ. Rajon Rondo will certainly help improve Lonzo Ball from playing in the NBA. In my opinion, the Lakers are unlikely to win the conference final or even make it. Be prepared for the next year, because in my opinion with all the freelancing agencies this summer, the Warriors could say goodbye to their title of champion. Maybe I’m wrong, but with young players like Brandon Ingram, Kyle Kuzma, Lonzo Ball, Josh Hart and veterans like Tyson Chandler, Rondo, JaVale and LeBron, the Lakers are going to have an enlightened future. DON’T FORGET TO LET US KNOW YOUR TOP 10 IN THE COMMENTS!!! !